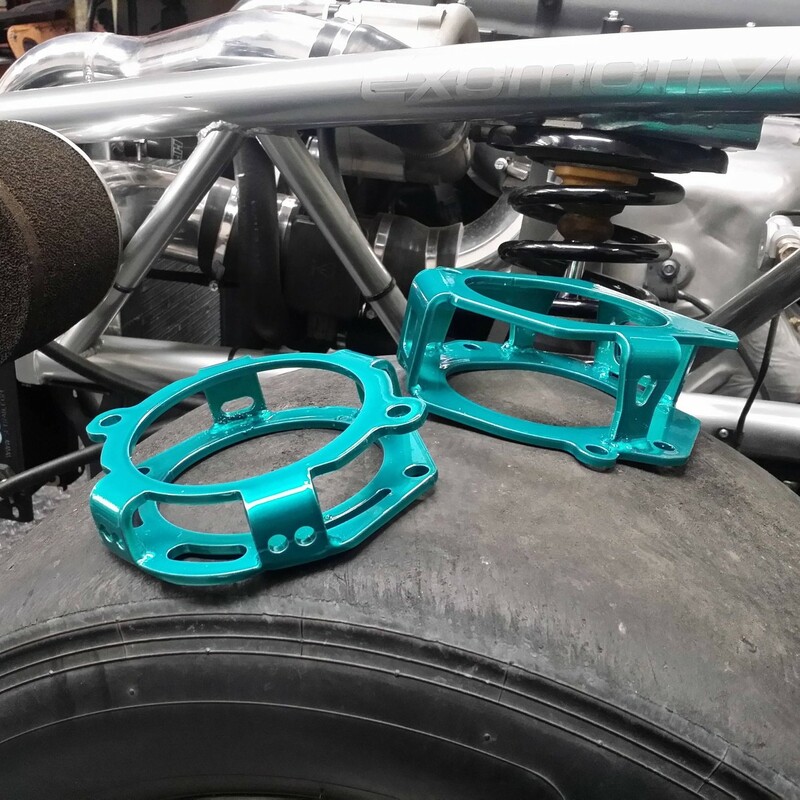 Exomotive’s new Domex shock spacers for the Exocet. Exomotive’s new Domex shock spacers for the Exocet. These spacers are designed to bring the top-hat mounts to the exact location of the original Miata and are a great option for those using aftermarket coilovers or short-body shocks. Ships via USPS Priority Mail. Includes 10.9 Metric hardware for mounting. Designed for use with NB and most aftermarket tophats. *Powder Coated price assumes flat or gloss black. If you have previously powder coated your chassis with us and we have extra powder on hand, we may be able to accommodate at the same price. Contact us for details.